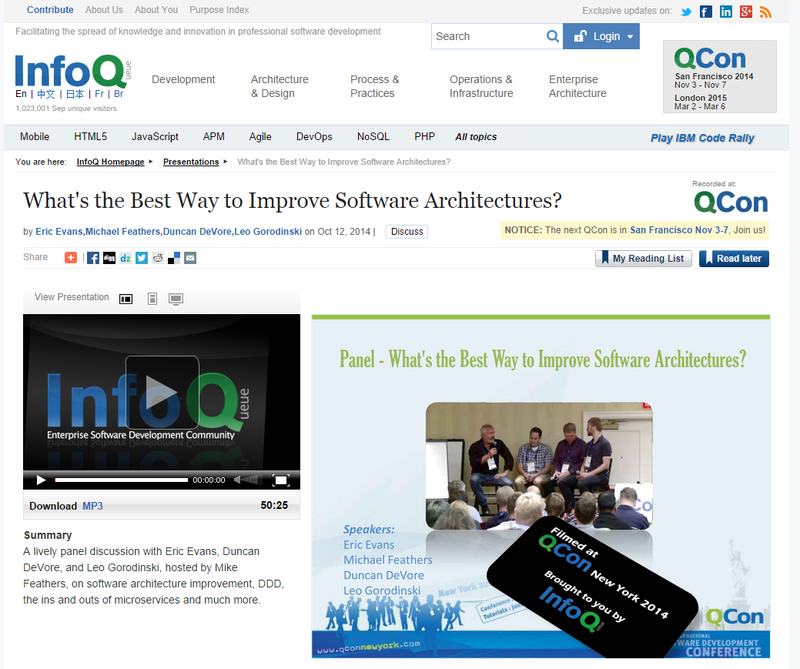 I watching this video the other day where a panel discusses 'What is the Best Way to Improve Architecture'. These guys have some really interesting insights on MicroServices, CQRS and EventSourcing. So go and check it out here.